 Kitchen Table Placemat and Centerpiece Set - 7 pc from Collections Etc. Create the perfect look for your table with this set of placemats. Each is curved to fit perfectly around the table– plus there's a round mat to place as a centerpiece for a finished look. Polyester. Machine wash. Imported. 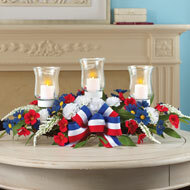 Placemats: 19 1/2"L x 13 1/2"W. Center mat: 13 1/2"Dia. Available in Red (Burgundy), Blue, Beige, and Holiday Green. like the pretty color - shorty, hinesville ga.
every happy with my purchase. Fits great on my round table. They don't over lap on each other. Machine wash, they came out good no lose threads. - Scottie, Paradise, Ca. Keeps table from collecting everything. - Jody, San Diego, Ca. Great Buy! Very pretty and durable. For me NEW table, just perfect! My round table needed these. Perfect for a round table! I order a set of these Placemats a year ago. I've used them all year, love'em! I decided to buy more in the colors I didn't get last year. I highly recommend if you have a round table. - Lighthouse lover, Harrisburg, Pa.
Bought one then another set! I would buy more of these. Perfect for my dining table. Very nice looking placemats for the table. Looks very nice on my kitchen table. I especially like the round placemat for the middle area of the table. - Sasha, Newport News, Va. I use it in kitchen/dining room. Fits my table. - Roserock, Valley Park, Mo. I use on daily bases on kitchen table - Glenda, Davenport, Fl. Just what I thought it would be! I would probably buy this product again. The shape is a great idea. I think the shape of these place mats was a great idea when you have a round table. - N/A, Newburgh, N.Y. 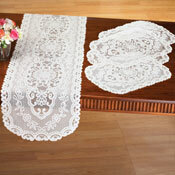 Dining room table looks great withnew placemat set and they wash up with no shrinkage or crinkling. - Don the Swede, Lady Lake, Fl. A custom look for a basic dinner table. More color options would be nice. - Ofe the home designer, corona,ca. The color is all wrong. Best use is for decorating purposes. - Jim the cook, Harrisburg, Pa.
No I would not buy this product again. 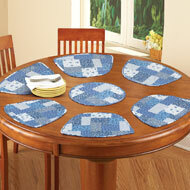 I ordered these because I needed placemats for my round table and feel it should be offered in a 5pc set also. I did not need a 7pc set. I am constantly have to adjust them because they are flimsy and don't stay in place. - Audrey, Chattaroy, WA. Not what its cracked up to be. they slide to much - chas, Ocala Fl.